For the most part, Russia travel is safe. However, as a visitor, you may encounter some situations that are decidedly unsafe. 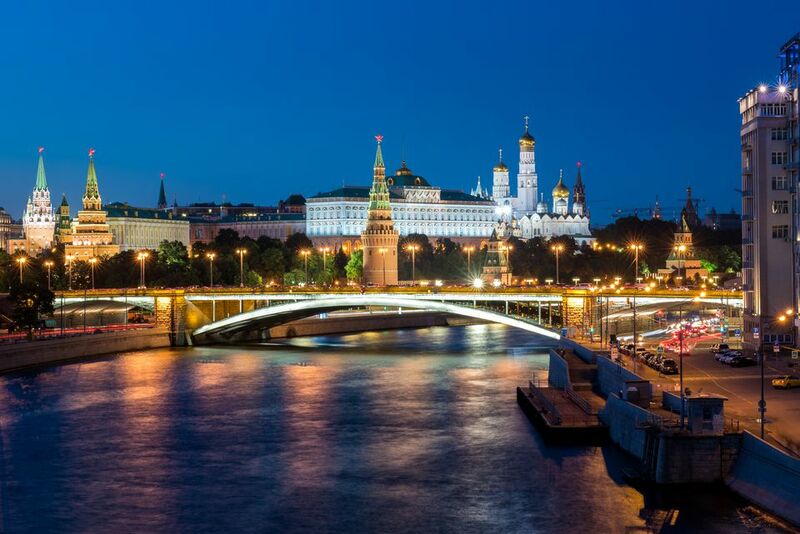 The following tips should be taken to heart when traveling through Russia so that you can worry less about your health and safety and enjoy your experience in this wonderful country. Even locals don't drink the tap water in Russia. Tap water may be even more dangerous for foreigners. Not only will it contain elements that a traveler's body may be unused to, it also may also cause diseases due to being improperly sanitized. If you get some water in your mouth while showering, this isn't a reason to rush to the hospital. But for drinking water and brushing teeth, use bottled water. The water can be especially bad in St. Petersburg, where the pipes are, in places, as old as the city itself. Vodka drinking may be a Russian's favorite pastime. While you're in Russia, it might be yours, too. However, bootleg vodka has long been responsible for killing people, and modern times are no exception. If you're going to drink vodka in Russia, make sure the vodka has been purchased at a store and is labeled properly. Otherwise, you could unknowingly be drinking shoe polish, sawdust, or even medicinal disinfectant. In Russia, cars have traditionally meant money, and money meant power. Today, this power gives people with cars the ability to drive wherever they want. On the street, on the curb, on the sidewalk, and over you. This is no joke. If you get hit by a car in Russia, you may be blamed for walking in front of a moving vehicle. Even if you are where you are supposed to be (walking on the sidewalk), cars may drive right up next to you if they are being inconvenienced by stopped traffic. Train travel in Russia is one of the exciting parts of visiting this vast country. However, other travelers on Russia's trains might see you as an easy target. If asked to drink and dine with strangers on board a train, make sure you stay aware and sober. Otherwise, you might find yourself the victim of pickpockets or worse. It's unfortunate but true - discrimination is an integral part of Russian society. Foreigners, Jews, Blacks and Asians (and members of other ethnic groups), individuals with disabilities, homosexuals, and women, are all regularly discriminated against in Russia. This discrimination can reach dangerous levels. The one-night stand might seem like a fun addition to your trip. After all, Russians are gorgeous! But a one-night stand can turn into the nightmare of a lifetime if you contract one of the STDs or STIs increasing in frequency among members of Russia's sexually undereducated population. AIDS and other sexually contracted disease are huge problems in Russia, and there is no sign of their decline. Don't flash money around while traveling in Russia. Keep some spending money in a readily accessible pocket or wallet, and keep the rest hidden either on your person or locked away at your hotel. Thieves are just waiting for foreigners to show them how much they have and where they keep it. Don't give pickpockets any help. It may be inconvenient to keep your passport with you at all times. You may also worry about losing it or getting it stolen. But keep it with you in a secure, hidden location within your clothes - special wallets or money belts are ideal for this. If you get in a sticky situation with the police, not having your passport on you is a good excuse for them to harass, fine, or arrest you, whether or not you've done anything wrong. All cities and towns have their unsavory areas. Wherever you go in Russia, confirm with friends or hotel personnel where the bad areas of the city are and avoid them. If necessary, have these areas circled on a map. Most locals will know what places foreigners should best avoid and will be able to describe them for you easily. You do not want to go to the hospital in Russia. You may have to, but do try to avoid putting yourself in situations that may land you there. Russia's hospitals sometimes do not meet basic standards for cleanliness, may not have modern equipment, and, in some cases, may not even have consistent electrical power. To avoid going to the hospital in Russia, get your shots updated before you go, avoid fights, watch your step, don't drink the water, bring your medications with you, and generally stay aware of your environment.